It’s hard to debate Global Warming. Or climate change. Or whatever the word. You wanna talk about the fact that greenhouse gases can increase the temperature? Wanna discuss the fact that CO2 is a greenhouse gas? Or that we’ve released more of it than would otherwise have been released? How about positive feedback and the fact that assumptions regarding them are most likely overstated? But the Democratic video goes too far in its text and images when it says, “Number of House members who voted in 2011 that climate change was a ‘hoax’: 240.” That is immediately followed by a video clip of GOP Rep. Paul Broun calling climate change a “hoax” in a floor speech — which implies that Broun was speaking on the 2011 legislation mentioned in the video. Also, not all of the 240 who voted against it were Republicans; three were Democrats. We’re not going to have a serious debate on this topic anytime soon. And we certainly aren’t going to see any meaningful legislation as long as this kinda nonsense continues to continue. This entry was posted in Climate Change, Politics: National and tagged Barack Obama, Organizing for Action. Bookmark the permalink. Maryland is instituting a rain tax. Did they learn from Gore? Discuss. Maryland is instituting a rain tax. Did they learn from Gore? I saw that. These people will stop at nothing. The science shouldn’t even be up for debate, it’s pretty clear cut. 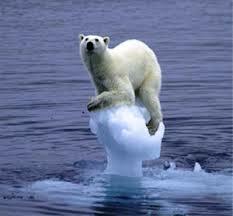 98% of climate scientists are convinced there is human created global warming, and the evidence is overwhelming. But it is the climate, the climate is complex, so there are possible other explanations. But given the potential consequences of it being true, as is very likely, it’s something every sane person should be really concerned about. That’s why in the rest of the world it isn’t a political issue, conservatives are as convinced as liberals. Only the US dallies, and I think it’s less about the science than about ideology. BUT, I do see your point – and I think that’s where libertarians and others who might deny global warming miss their chance. Instead of making a cogent argument that global warming is not best addressed by government programs or regulations, and offering an alternative approach, the only recourse to justify opposing regulations and government spending is to deny that there is a problem. I agree that a good argument should be made that says, “yes, global warming is a serious issue, but the proposed solution is wrong because XXXX. And there we propose: YYYY. As it is, those who oppose acting base it on the hope that the doubt that is in any scientific claim is valid, and that 2% of climate scientists are right while 98% are wrong. Otherwise, our children will pay a huge price. But yes, I also know some really adamant activists (a number of them scientists really truly afraid for their children’s future) who let their passion cause them to make unfair claims and not respect the other side. That doesn’t really help their cause. The science shouldn’t even be up for debate, it’s pretty clear cut. 98% of climate scientists are convinced there is human created global warming, and the evidence is overwhelming. And even I agree that people are contributing to an increase in CO2 and that CO2 warms the earth. the only recourse to justify opposing regulations and government spending is to deny that there is a problem. Here is where I break with liberals; I’m not convinced that the impact of human induced warming is a catastrophe waiting to happen. The degree of warming is significantly lower than alarmist projections and is bordering on insignificant. The son wakes up and runs downstairs to discover, indeed, a fire. A nice warm comfortable fire in the fireplace! And grandpa sitting in his chair enjoying a pipe. No, that’s not where you break with liberals. That’s where you break with scientists! It’s a science issue, not a political issue. Nah, this is where the liberals out punt their coverage. The science only shows that we’re warming some amount due to man made CO2. After that, the doctor is out. Which again, is why it’s so hard to “agree” to global warming. Because agreeing doesn’t mean you’re agreeing to the science part, it means you’re agreeing to the alarmist cease and desist all fossil fuels part. Can anyone give me a cost benefit analysis on all of the green infrastructure that my tax dollars have paid for in recent years. Or is accounting not a science? Maybe the colder than normal spring we have gone through this year is directly attributable to the progress of the green agenda? Maybe the relative calm since Sandy is what I have paid for? There is a great cost to the green agenda. Separate from the man made climate change issue, can anyone give me any assurance that cutting greenhouse emissions will reverse or even slow the expected climate change? All I hear is that what ever happens, it will be worse if we do nothing. I dare someone to give me climate predictions for the next century, with and with out reductions in emissions. We know that green energy will cost $Trillions in the next century. Maybe everything is already baked into a warmer Earth. Maybe it is already too late.